Top 10 Tips On Starting a Successful Fashion Design Business. Hello Fashion Entrepreneurs and Potential Entrepreneurs, so you are blessed with a talent for designing fashion products. But to turn your passion into a profitable business is something you need to learn even more. No doubt, doing a business comes with its own risks as you are investing money and time. However, since the demand for fashion items is increasing more than ever before, your fashion business can pick up shortly with your determination to succeed. There is a huge scope for growth in the fashion industry and business. According to an estimate, global apparel market alone is worth 3 trillion dollars and it is growing by 2 percent annually. Fashion industry comprises of several segments such as women wear, menswear, children wear, luxury goods, sports footwear and bridal wear. It is clear from the stats that the demand for any fashion items you manufacture and sell will be higher. Now it is up to you as a businessperson to explore the opportunities in the market and turn them into a successful business. To build a fashion business, you must be prepared to think and behave like an entrepreneur. You must come out of your design studio, meet those who know the business, and benefit from their experience. Find out how businesses work. Build solid relationships with a wide range of people such as manufacturers, investors, and buyers. Without knowing your target customers or clients, you simply cannot move forward meaningfully when starting your fashion business. Remember that fashion industry and the market is vast, comprising of a wide section of the population from all ages and interests. Who precisely are your customers amongst them? Do some research to know what trends of colors, styles, designs, etc do people like these days? What is the purchasing capacity of your customers? Answer such questions to get a dependable customer profile. After getting many crucial details about your target audience, you can address their concerns in your graphic design products and advertisement material. For example, your creative banner design can highlight some fashion solutions you provide to the customers based on your research. One of the key points to consider is to start with just one fashion product. Many small business owners work on many product lines. But it is not a good strategy as it involves more time, money and management of staff and other things. Instead, start with one product line. Then, develop that product further so that people have faith in its design. Another aspect of running a successful fashion business is setting the right prices. Find out the amount that your target customer is willing to pay. Then, calculate how much your business would spend on raw material and manufacturing. This way, set the prices in between the highest prices a customer can pay for your fashion product and your overall cost of production. Make sure that the price you set gives you a decent profit. People use the web to search and shop their choice of products or services. Your most of the potential customers make online search and then take a purchasing decision. A website for your fashion level is therefore crucial for its success. However, only a user-friendly site on the web works for businesses. A fashion website is also an ecommerce site, which has special features to make online shopping easier for the customers. You can crowdsource your web design job to marketplaces like Designhill, which is a dependable leading platform for graphic designers and business owners alike. You can shortly get your design job done at affordable prices to your satisfaction. Your vision for the advancement of your company and its position in the market must be clear to you and your staff. This helps in building a brand identity that is different and unique from your competitors. This means that as a young fashion designer, you need to know what exactly you are doing. Be clear in mind why you want to start the business in the first place. You should be conveying something through your fashion products that others do not say. Note that inspirational fashion logo design play a role in building brand identity of fashion levels. The logo has the elements of colors, typeface, symbols, and images that convey your message of business. Social media is a powerful medium. A majority of your target audience of fashion business are on different social channels like Twitter, Facebook and Instagram. Without putting your brand on a wide range of social platforms, you cannot think of doing a successful business. Social media marketing is important to reach out to more and more consumers. 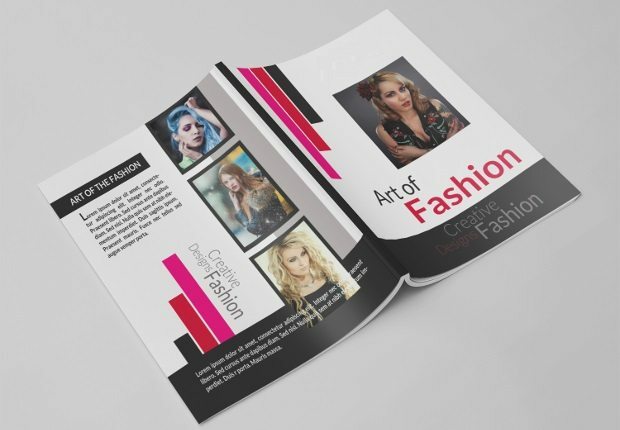 One of the effective ways to enhance your customer base of fashion design business is to distribute flyers and brochures. Flyers are generally short marketing materials consisting of one leaf of content. You can distribute them by the side of road to the people randomly for generating awareness about your company. Brochures are folded small booklets that contain many details of your business along with product images and text. People are drawn easily to a business if its brochure design is clean, modern and impressive. Small businesses have to face many production related challenges. When staring your fashion design business, you should order only small quantities. This is because you are required to make timely payment to manufactures, whereas, you may not be getting the payment on the due date from the retailers. Be prepared to face such challenges. To run a business successfully, make sure that your company is financially sound. Acquire enough funds to meet your routine business requirements and other expenses for many months. Remember that your venture may not be able to earn profit right away due to many difficulties such as not getting payments on time. So, make sure that your cash flow position is strong. Do not get stagnated at one phase of your business. Instead, make all the adjustments and improvements required to take your fashion level forward in a competitive way. For that, get feedback from your clients and implement their constructive suggestions for the advancement of your business.